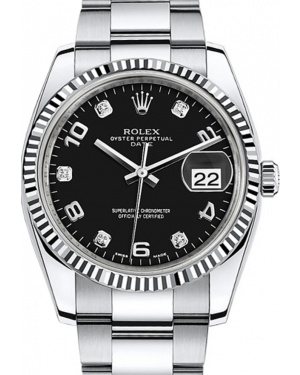 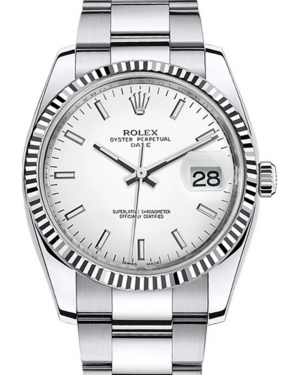 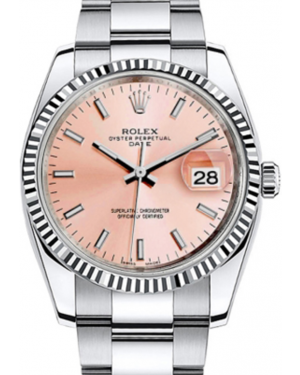 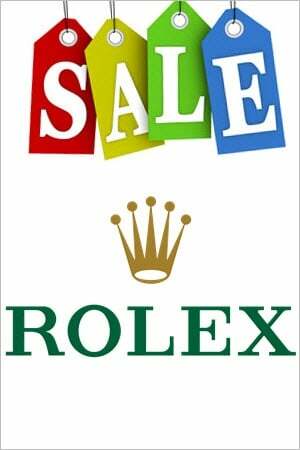 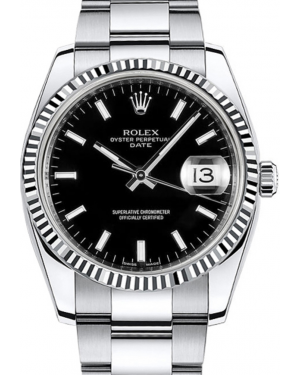 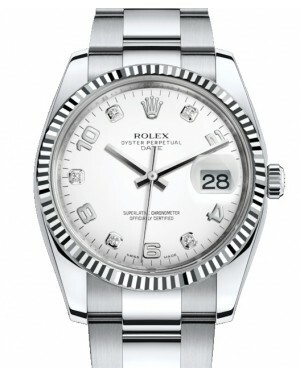 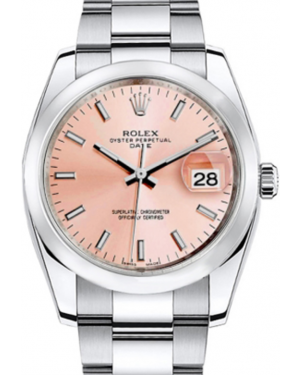 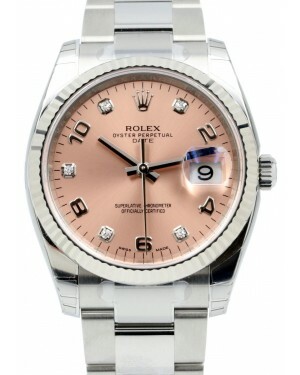 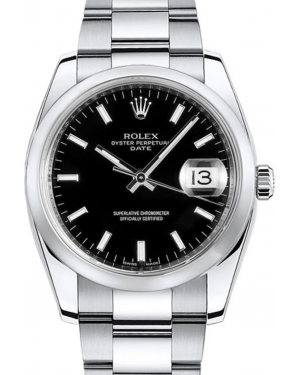 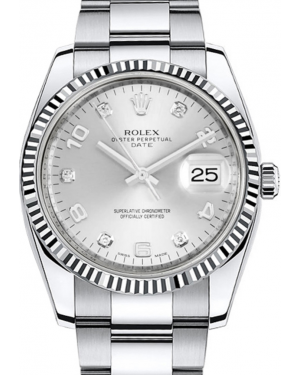 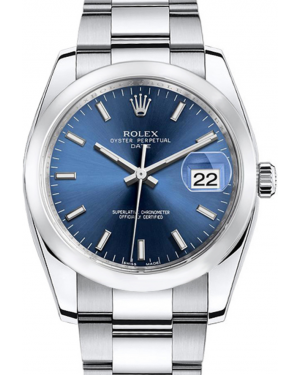 Known officially as the Rolex Date, the Datejust 34 is, as the name suggests, a 34mm version of one of the brand's flagship models. 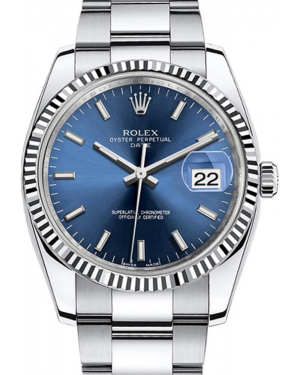 Its origins date back to the 1950s and although it is usually marketed as being distinct from the 36mm Datejust, the only real difference is the model's case size. 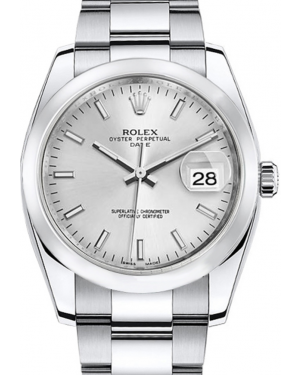 Much like its larger relative, it features an Oyster case, as well as a date aperture at the 3 o'clock position, which comes complete with the trademark Cyclops lens, magnifying the display for easy reading. 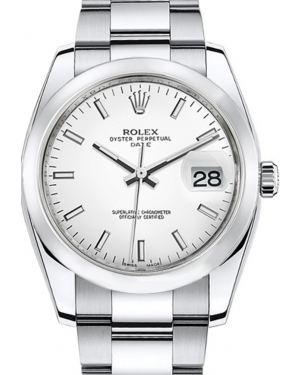 The timepiece is water resistant for up to 100 metres and is constructed from either 904L or 316L stainless steel, depending on the year the model was produced.